Ruggish is a line of double-sided play mats with a side for you and one for your kids! Invented by an interior designer-slash-mom in 2017, Liza Savary needed a better option than typical play mats with primary colors or other types of flimsy foam tiles. While living in her small city apartment, her son’s nursery was also her home office and a guest room, which she needed to easily go back-and-forth from. She took matters into her own hands and invented Ruggish! 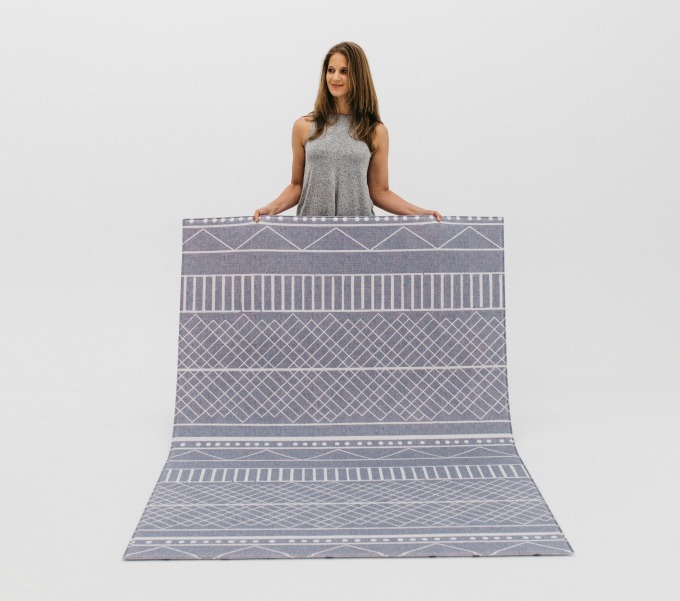 One side is a stylish print for when you’re in office or guest bedroom mode, and the other side is an adorable street track for your kids to play on. They come in 5 stylish options complete with neutral colors to match any home and to take away your brightly colored children’s product headache! Ruggish is safe, non-toxic and one of the only products on the market that has been certified by both United States and European Toy Safety Standards. It’s a durable investment – you won’t have to buy them over and over again like with other play mat options. Your little one can tumble, drive trains, spill a drink, and still leave your blood pressure where it should be. You can even get in a nap or some yoga!